"Everything in Krishna consciousness is scientific. It is not bogus, whimsical, sentimental, fanatical or imaginative. It is truth, fact, reality. One must understand Krishna in truth. "We have to give up this body, willingly or unwillingly. The day will come when we have to submit to the laws of nature and give up this body. Even President Kennedy in his procession had to submit to nature's law and change his body for another body. He could not say, 'Oh, I am the President; I am Mr. Kennedy. I cannot do that.' He was forced to do it. That is the way that nature works. "The purpose of our developed human consciousness is to understand how nature works. Aside from human consciousness, there is consciousness in dogs, cats, worms, trees, birds, beasts and all other species. But we are not meant to live in that consciousness. The Srimad-Bhagavatam says that after many, many births we have attained the human form of body. Now we should not misuse it. 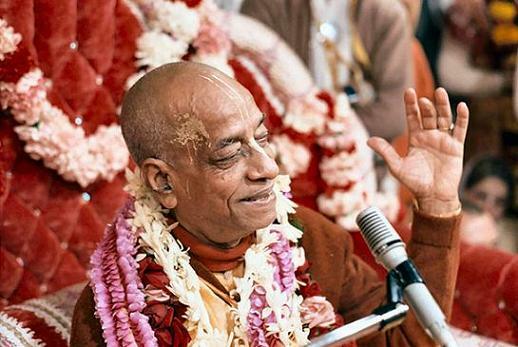 Please utilize this human life to develop Krishna consciousness and be happy."